Humanity is diverse�culturally, spiritually, sexually. Tarot has the power to serve a greater population, with the right keys to unlock the tarot�s deeper meanings. In Queering the Tarot, Cassandra Snow deconstructs the meanings of the 78 cards explaining the ways in which each card might be interpreted against the norm. 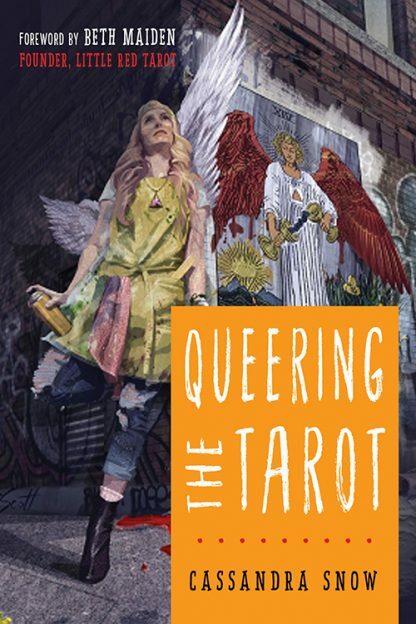 Queering the Tarot explores themes of sexuality, coming out, gender and gender-queering, sources of oppression and empowerment, and many other topics especially familiar to not-straight folks. Cassandra�s identity-based approach speaks directly to those whose identity is either up in the air or consuming the forefront of their consciousness. It also speaks to those struggling with mental illness or the effects of trauma, all seekers looking for personal affirmation that who they are is okay. Beth Maiden is the founder of Little Red Tarot.